During the first part of 2015, investors expected that an Uber IPO would be the year's hottest tech offering. Comparisons to the 2014 Alibaba IPO were everywhere. Their optimism was amply justified by Uber's meteoric growth. 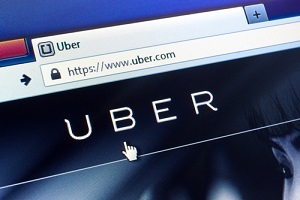 In the first quarter of 2015, business spending on Uber accounted for 46% of the entire transportation market – more than three times higher than Uber's Q1 2014 share of 15%. A December 2014 funding round raised $1.2 billion for the company, bringing its valuation to $41 billion, and more recent estimates place the company's valuation at $50 billion. Unfortunately, riding along with all that growth is a growing list of setbacks and problems for the ride-hailing giant. Taxi industries, legislators, and regulators in various cities around the world allege that Uber fails to meet mandated licensing and safety requirements. Some riders have reported dangerous and even violent acts by drivers. Uber also faces increasing competition from Lyft. But the biggest problem that could derail an Uber IPO today is the growing list of cities and countries that have either banned Uber or suspended its services. To date the service has been halted or restricted in at least eight American cities as well as in India, Germany, The Netherlands, Thailand, South Korea, and other countries. In some cases the company has chosen to sideline its operations until regulators sort out how to treat the upstart service. The consensus view is that an Uber IPO is in the offing – just not yet.